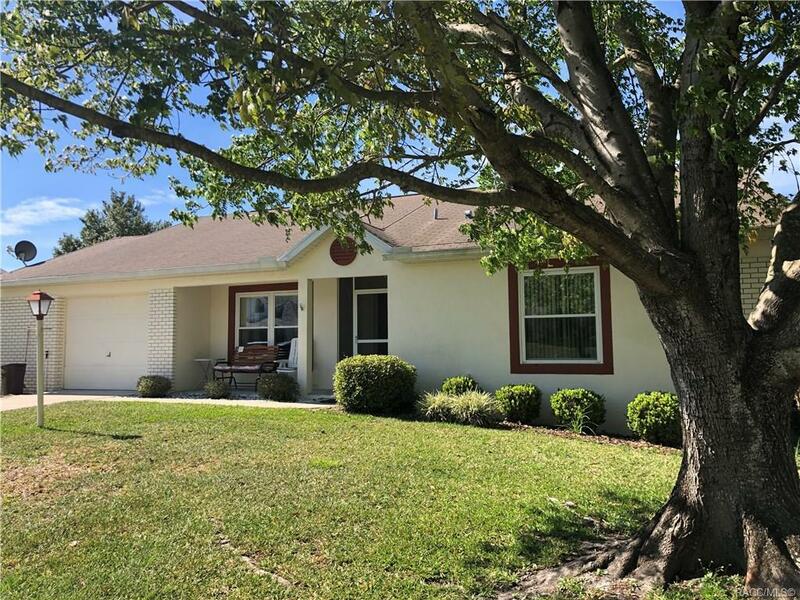 Lovely Lincoln model home with newer flooring, eat-in kitchen, formal dining, enclosed porch and wood decking to enjoy the Florida seasonal weather. Excellent condition in this desirable Oakwood Village. Brand new air conditioner 2019. Close to Twisted Oaks Golf Course, shopping and Citrus County's numerous restaurants and Beverly Hills activity center and library. Close to Tampa and Orlando attractions. Located near the Gulf for boating and fishing. Numerous rivers to kayak. Near the Withlacoochee Rails to Trails for cycling, hiking & horseback riding. Directions: Forest Ridge Blvd To Lincoln To Sunset Strip.